The highlight of the new Vivo Nex smartphone lies in the narrow bezels surrounding the display, which was made possible after Vivo came up with a rather unique solution to do away with the display notch. Vivo launched its must-anticipated flagship smartphone, the Vivo NEX on Tuesday in China, months after the concept version of the phone was showcased by the company during the Mobile World Congress in February. Pre-0rders for the smartphone starts on Wednesday in China. The highlight of the new phone lies in the narrow bezels surrounding the display, which was made possible after Vivo came up with a rather unique solution to do away with the display notch. 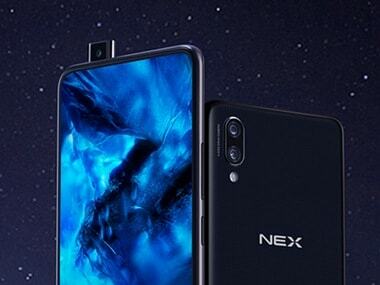 The Vivo NEX comes with a 8-megapixel pop-up front-facing camera, which when started, will make a sound to notify the user. According to images released by Vivo on its website, the pop-up camera will sit on the top left of the display. 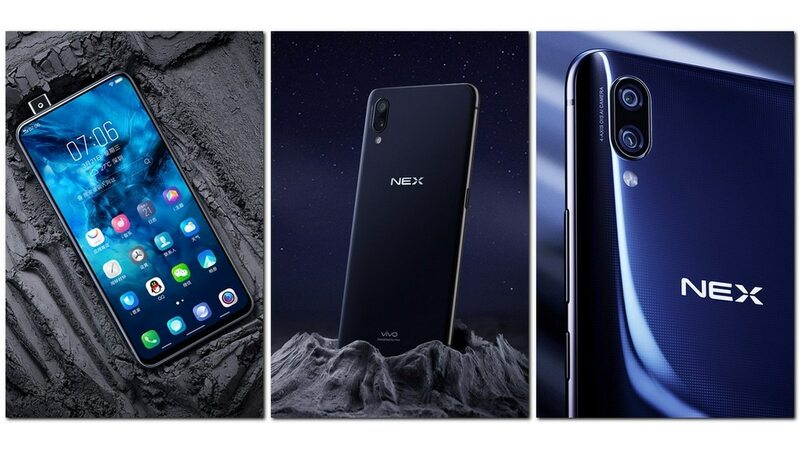 The smartphone will come in three variants: The top model, named Vivo NEX S, is powered by Qualcomm‘s Snapdragon 845 processor along with Adreno 630 GPU, 8 GB RAM, and 256 GB internal storage. The intermediate variant has mostly the same specs as that of the high-end version, other than packing only 128 GB internal storage. The lowest variant, which is dubbed as Vivo NEX A, will come powered by Qualcomm’s recently launched Snapdragon 710 SoC, along with 6GB RAM, and 128GB of internal storage. All three models are powered by a 4,000 mAh battery. The Vivo NEX smartphone will be available in two color options: Diamond Black and Ruby Red. The top-end model with 8GB RAM is priced at 4,998 Yuan, which converts to Rs 52,669, while the mid-range device costs 4,498 Yuan (about Rs 47,400). The cheapest variant with SD710 costs 3,898 Yuan (about Rs 41,000). The prices may vary when the phone releases in India and other sub-continental markets. The Vivo NEX will come with a 6.59-inch Super AMOLED Ultra FullView “Zero Screen” Display with a screen-to-body ratio of 91.24 percent and 2,316 x 1,080 pixels screen resolution. The receiver speaker in the phone will come integrated in its screen, a design powered by the Screen SoundCasting Technology. The full-screen display also features an under display fingerprint reader. On the reverse side, there is a dual camera setup consisting of 12 MP sensors, the primary being a Sony IMX363 sensor with 1.4 μm pixels, f/1.8 aperture, and four-axis optical image stabilization plus a 5 MP secondary sensor. Another highlight of Tuesday's launch involves Jovi, Vivo's own personal voice assistant which works on artificial intelligence technology. It supports functions such as smart map reading, encyclopedia, shopping, translation, scanning, among others. The company is expected to roll out several new features in Jovi in the coming months. There is a dedicated button beside the camera that triggers the voice assistant on the long-press action.